River Forest is now being developed! 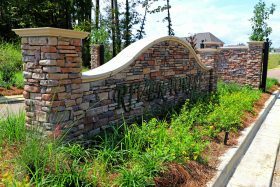 We have several move-in ready homes and some great lots for custom homes. River Forest is located off of Old Fannin Road in Brandon. It’s near The Reservoir and some of the best shopping in the area. It’s also in Rankin County School District. This is the area to live if you enjoy an active lifestyle and some of the best restaurants around. Half Shell, Georgia Blue, Table 100 and many other eateries are about five minutes away. A gulf coast favorite, Shaggy’s is scheduled to open its Reservoir shoreline location in September, 2018 less than five minutes away. If playing golf is your passion you won’t be disappointed. There are also several golf courses in the area including Bay Pointe Resort, Castlewoods Country Club and The Refuge (re-opening March 2019). Each course has its own unique layout sure to give you hours of fun and possibly a little frustration as well. We hope you never need a physician but if you do you’ll be close to some of the best in the area. There are several locations close by for Baptist Medical Clinics and Merit Health. Other clinics close by include Corner Clinic and 4 The Family Healthcare. Other entertainment options include UA Parkway Place movie theater, Pump it Up inflatable park, Party Safari fun zone and High Heaven trampoline park. With the many public parks close by as well, there’s always something to do near River Forest. River Forest has turned out to be one of the best locations to live in Rankin County. Email or call us to see our homes.